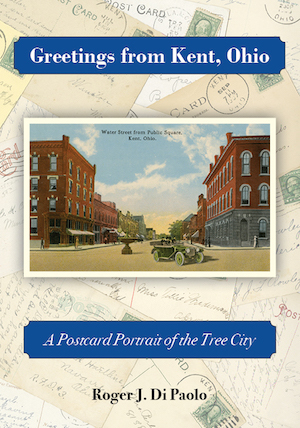 Over 125 historical postcards of Kent are depicted in full color in this beautiful new book by our own Roger J. Di Paolo. These postcards along with descriptions show Kent in all its historical glory. The cards date from 1895 to the 1960s. The Cuyahoga River, iconic buildings, landmarks, schools, churches, Twin Lakes, Brady Lake, the university, and so much more. This is a must have book for anyone who grew up in Kent, or just loves Kent history, this book will bring a smile, a bit of nostalgia and a sense of history to every reader. For an added $10.00 you can order the hard cover edition. M.L. Davey elected to U.S. House of Rep. and re-elected 3 times.